or give us a call on 09 379 8039 if you can't find what you're after! What could be better than the best-selling Hanami ballet slipper? Say hello to the new, premium version in leather! Shop for the Leather Hanami here! 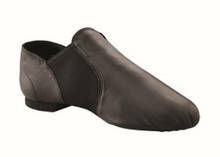 From ballet & ballroom to tap, we have a complete range of dance shoes. No more long waits for top international dance brands to arrive at your door. Wrong colour? Can’t find what you’re after? Let us know, we’ll find it for you. I am really excited about our new website and I hope you are too! We have a huge range of products and it is great to share them! The team and I are always looking for new and exciting brands and I hope you'll find something you'll love. We are regularly loading new products so please pop back and check the site out regularly. 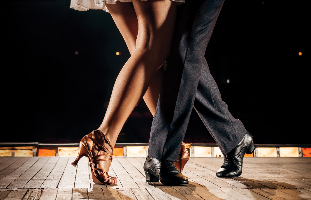 We are thrilled to be the New Zealand distributor for Capezio and stock a large portion of their range. We order from Capezio weekly. Please let me know if you want to out fit teams or products for recitals as we are keen to do deals on bulk purchases. Our goal is to offer New Zealand dancers something different so whether you are looking for your class wear, casual wear or for something special for a competition or a recital then we will have what you need. If we don't have it we'll try and find it!